PARALLEL JOINT. 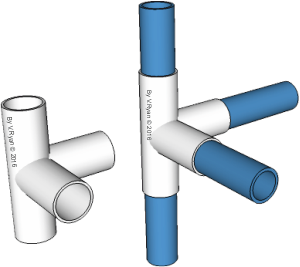 The joint shown opposite is for joining two tubes in parallel. The joint is in two halves and a single bolt is tightened using an allen key, fixing to two tubes together. FOUR WAY JOINT. 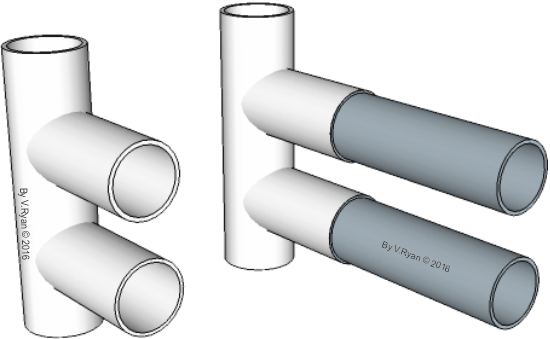 This joint allows four tubes to be fixed together. It is a friction fit, but if the tubes were threaded (had a screw thread) at the end, they would be extremely secure and could be regarded as permanent. SIX WAY JOINT. This allows up to six tubes to be jointed. A friction fit, but if the tube was threaded at each end (screw thread), this would be a very secure joint. TWO WAY PARALLEL JOINT. 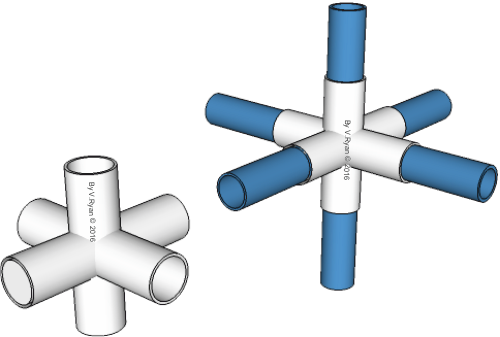 This allows two pieces of tube to be joined in parallel. 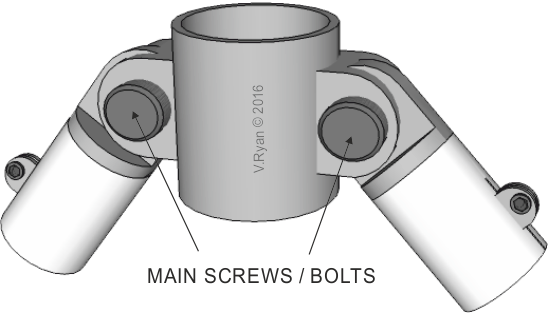 SPLIT TUBE JOINTS: This four way joint can be adjusted / tightened with a allen key. 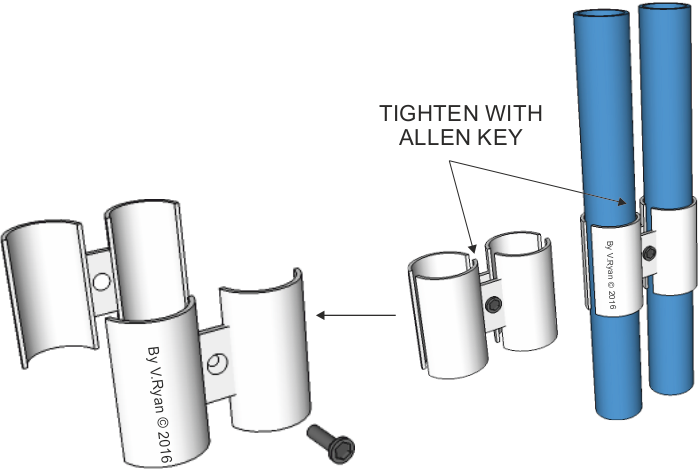 As the allen key is turned, the split in the tube narrows, tightening on the tubes. 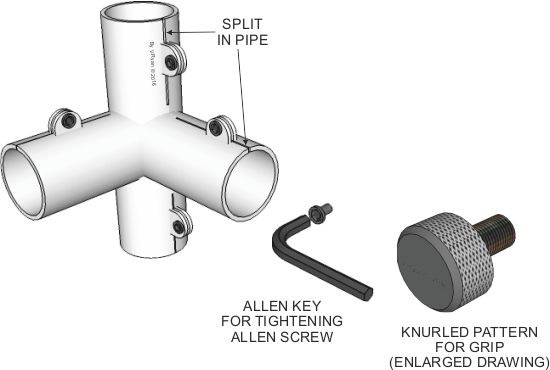 The allen screw could be replaced with a screw that can be turned by hand, such as a wingnut or a ‘knurled’ pattern. ADJUSTABLE JOINT. Loosening the main screws / bolts, allow the tubes to be adjusted to the right position and then tightened.